Last week Nintendo DSi owner is Japan and Europe could update their DSi to firmware 1.4 (will come to US in the fall US August 3rd). 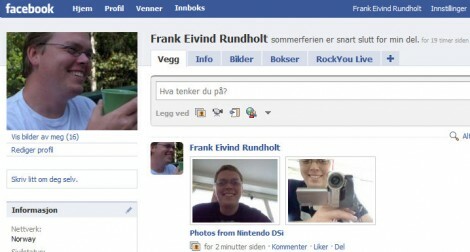 The biggest news is that you now can upload pictures taken with the Nintendo DSi to your Facebook account. Pretty cool. It’s also blocking all flashcards. You can read more on Nintendo.co.uk. To update the DSi firmware, go to System Settings and choose System Update (on page 4). Here is a small YouTube video I made. Here are some screenshot from the DSi. 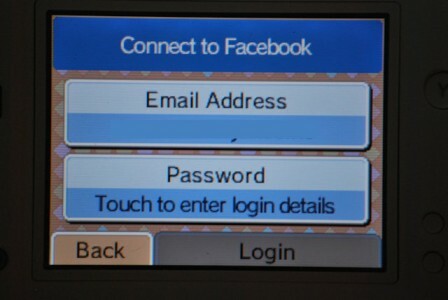 The Facebook integration with the Nintendo DSi Camera is one feature of a new system update for the Nintendo DSi, which also includes other improvements to the technical features of the console. This update is accessed by performing a system update in the System Settings of the Nintendo DSi, which will automatically upgrade the console’s firmware to version 1.4. 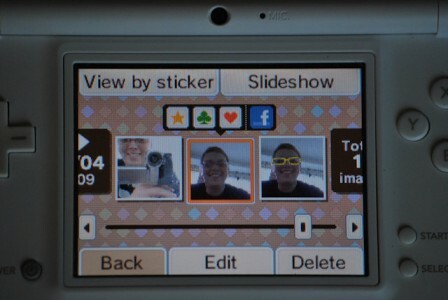 The exciting new Facebook integration with the Nintendo DSi Camera allows you to send photos directly to your Facebook stream, where they will be shared with friends and stored in an Album on your profile. A Facebook logo will then appear in the album section of the camera, and a Facebook icon will now be present above your picture. Tap this to immediately connect online to your Facebook account and upload your picture. Here are a couple of videoes, you can see more on gamersdag.nl.